Here is a great way to help a friend, yourself, and me! – And I will GREATLY appreciate it!! There is no limit to the amount of friends you can refer or the amount that you can save! 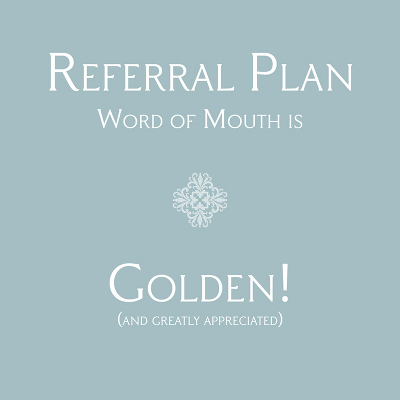 However, all referrals must be new clients, and your coupon will be good for the current calendar year toward print products. When your name is mentioned, I will let your friend know that they will receive a $25 print credit towards their order and I will send you a coupon as soon as they book. So let’s get it going and help each other!